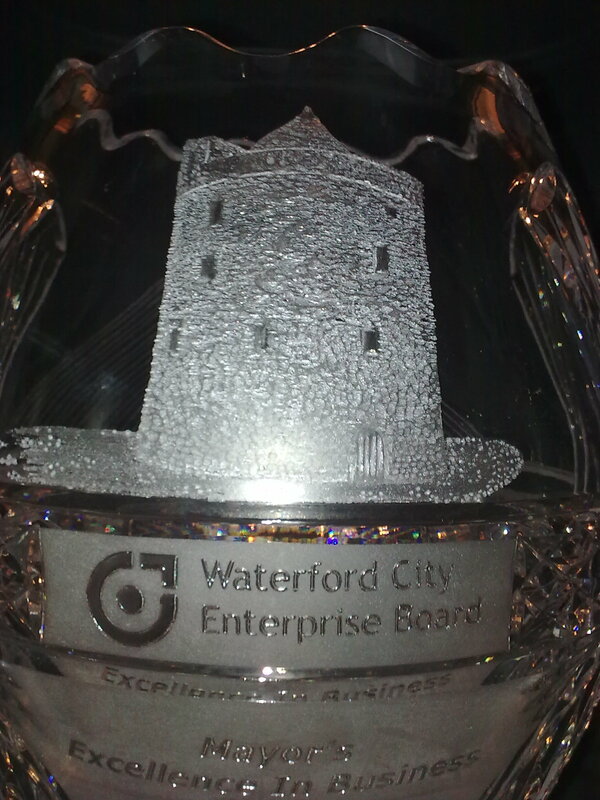 Description Commissioned by Waterford Enterprise Board this award has an engraving of Reginald's Tower, a local Waterford landmark. This was engraved on the 14" oval footed trophy which costs 1,000 euro. A large variety of styles and types of glass available for awards and prices are negotiable depending on size/type of glass/crystal and amount of engraving. Please contact Sean to discuss you needs.